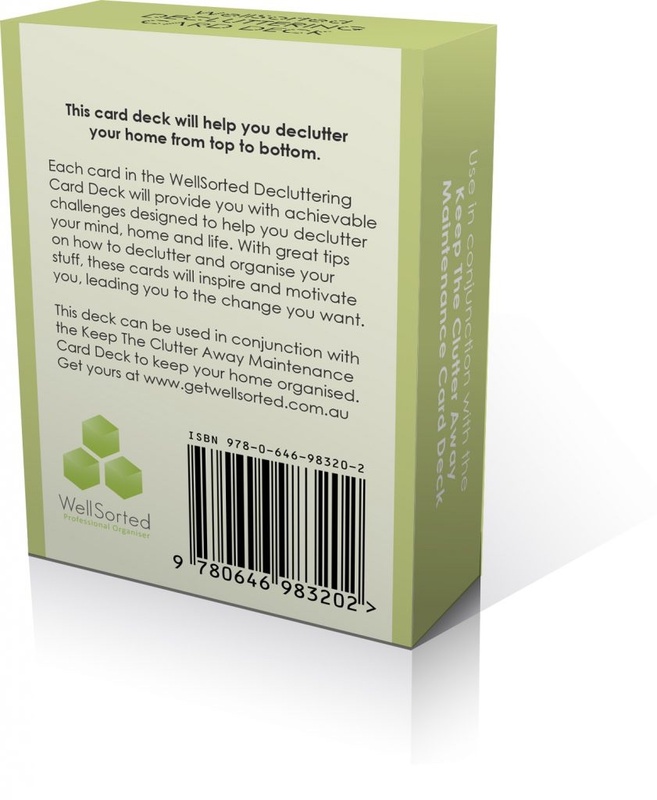 The WellSorted Ultimate Decluttering Kit is perfect if you’ve got some serious decluttering planned. Get motivated and inspired to declutter your home (and keep it that way). Get both the WellSorted Decluttering Card Deck to help you get started – and the Maintenance Card Deck to help you keep the clutter away. 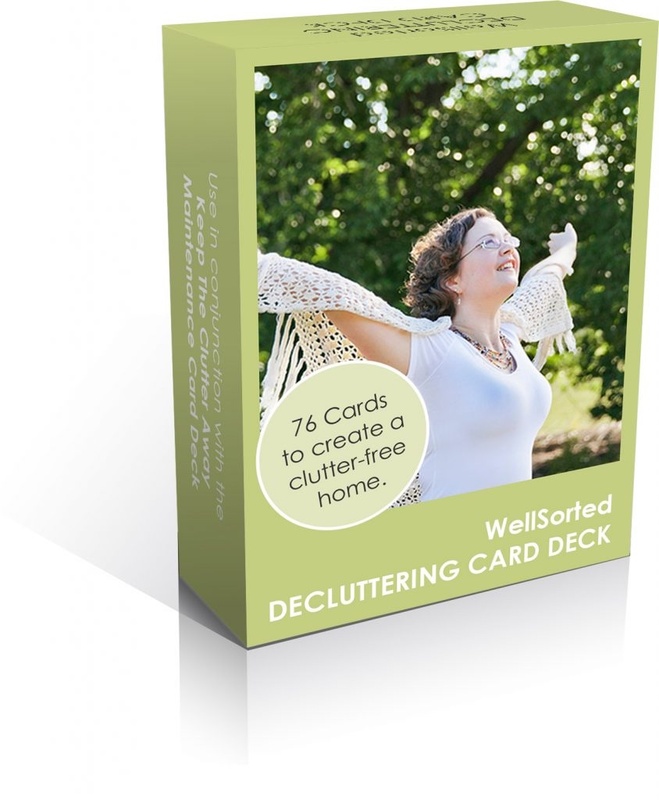 While you work through the tasks and cards, you can use our WellSorted Signature Oil Blend – Release and Replenish to support your decluttering process. This blend was hand blended in Canberra, Australia by maaorganics for WellSorted, using pure organic essential oils. It has a harmonising, soothing and grounding effect, while uplifting and refreshing you. 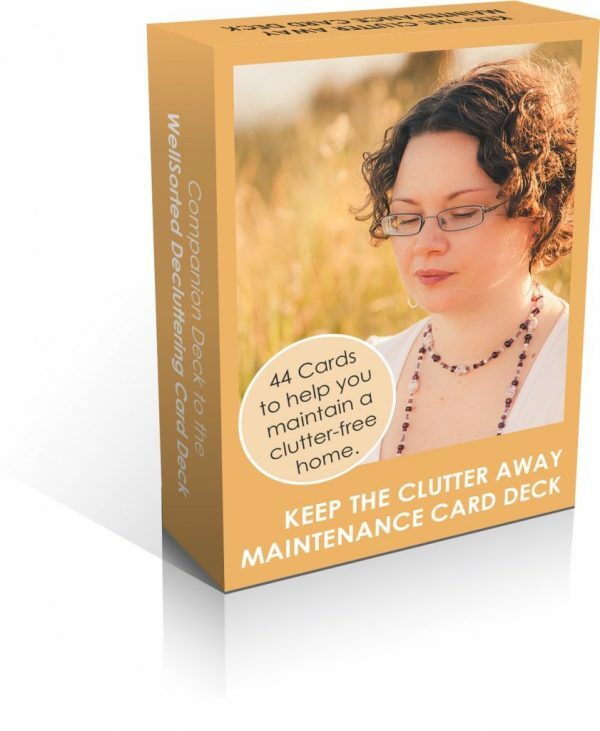 It’s ideal for a fatigued, tired mind, especially while you’re decluttering. Clear clutter from your mind, spirit, and home and regain your self-confidence with the Release & Replenish Signature Blend. The card decks are like mini self-help books, with a total of 120 challenges between them that you can do in your home. 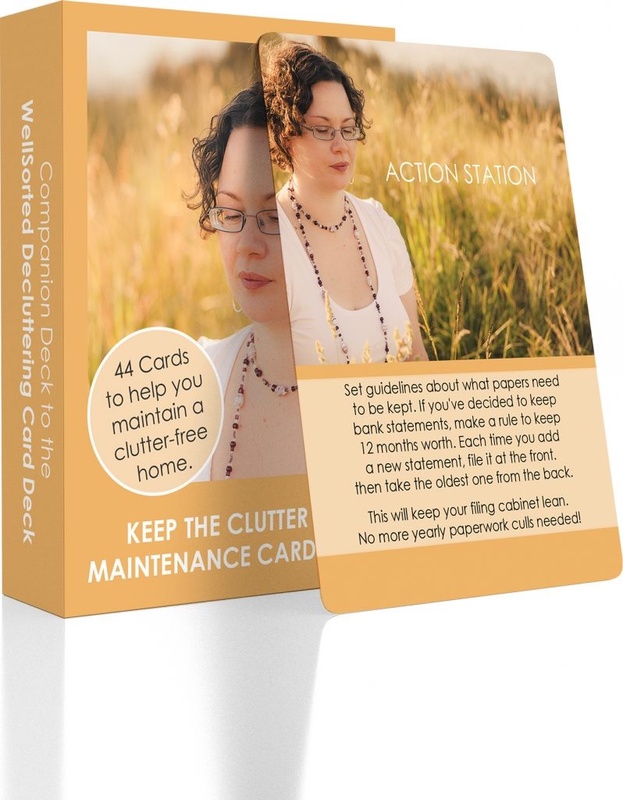 Each card includes a challenge for a different area of your home, to beat the clutter and keep your space organised. You might choose a specific challenge, like tackling your books. Or you might shuffle the decks and do one at random. 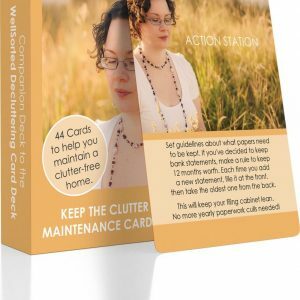 Imagine putting on the oil in your burner, then pulling out your Card Decks and getting stuck into a declutter challenge. It’s one way to make the process of organising your home easier, more fun, and more supported. The Ultimate Kit gives you all of WellSorted’s best tips in one set, plus an inspiring and uplifting scent to support you as you work. 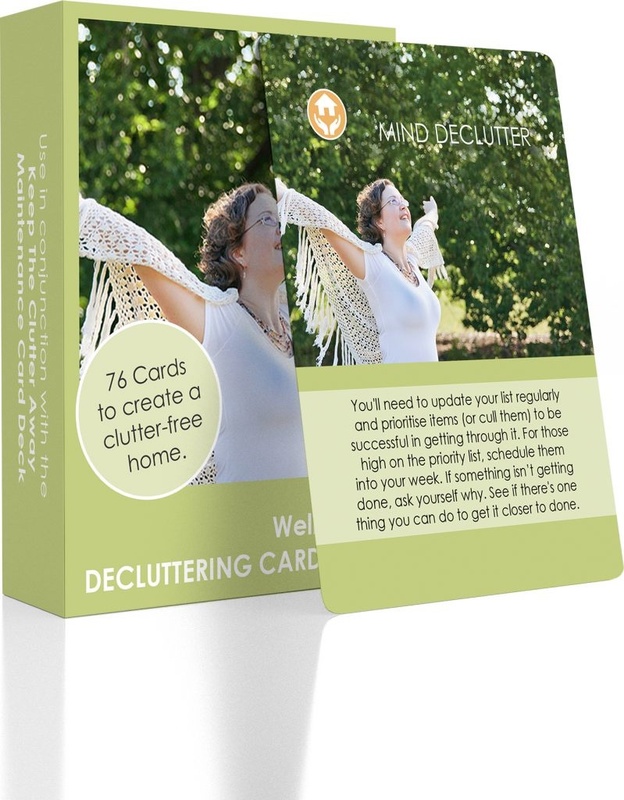 Ready to order your ultimate decluttering kit? Add it to your cart or contact me if you have any questions.